I'm on a hat-making binge. Some for Occupy winter. Some for sale at RiverWools in December. My own pattern, Florabelle. Top-down. 1/1 rib. 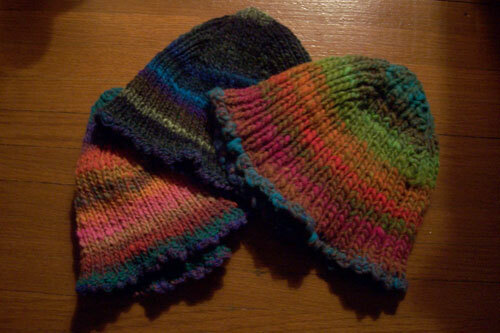 These caps are made with Noro Kureyon and (the one on the right) Noro Hitsuji. 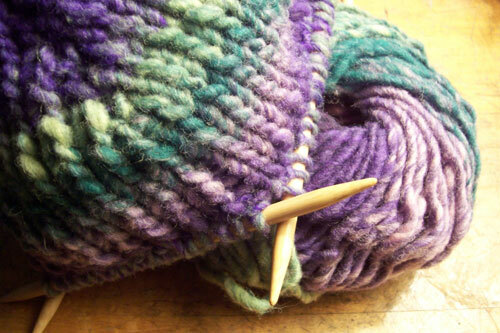 Normally I don't love working with fat yarn, but Mr. Noro does it so well, I'm finding it fun. very nice! how much do you sell them for?